UK Wedding Dance Floor hire is an exciting brand new dance floor provider looking to provide our clients with only the best products the market has to offer. Wedding dance floors are a growing trend. It is important that every aspect of organising a wedding is taken care of. 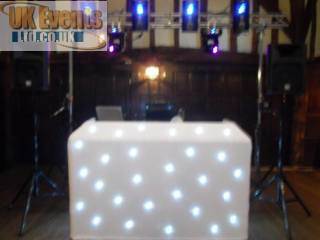 UK dance floor hire have everything you need to create that 'once in a lifetime' memorable night. 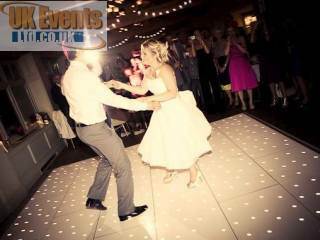 All of our dance floors are to a very high standard and more than suitable for any scale wedding. 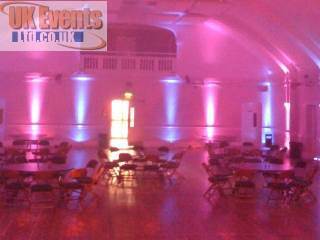 As part of our comprehensive package, we can now offer you a Disco and Dance Floor at an amazing rate. All of our in house Corporate level DJ's have at least 10 years experience in performing at weddings and high-end corporate functions. We are now proud to introduce our dedicated LED starlit wedding dance floor. This is a must for brides whom wish to have the perfect setting for their wedding function. 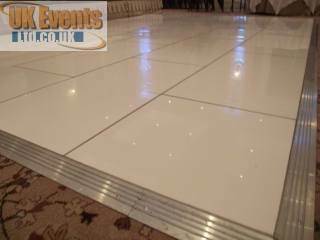 We have a choice of either pure white or pure black LED starlit pealight dance floors available to hire. The dance floor have hundreds of little white LED lights that can twinkle at various speeds. This looks fabulous in any function room and creates that 'wow's factor when seen by your guests. Our entire dance floor stock is brand new this year and we will continue to upgrade our stock to offer an unbeatable product to match our unbeatable service. Looking for something different? - We now a hot pink sparkly wedding floor available to hire! We are always looking to improve the services we offer to the wedding sector. If there is a product you require but can't locate it on our site, just get in contact with us and we will do the best we can to help.